Many people wonder how they can change their mood. Physical exercise can do the trick. This is not just an advice or a rumour but it is a proven scientific fact. Surely you heart and know that regular physical exercise is beneficial for our physical health. It is especially beneficial for the heart, for the circulation of blood and of course for the lungs. Perhaps you’ve also learned that physical training and exercising helps in maintaining our mental health, which helps improve our abilities during the unequal battle with the time as we grow older. The many benefits of exercise are not limited to physical health but they also expand to our mental health. Exercise is one of the factors that can change our mood and at the same time improve our mental condition. 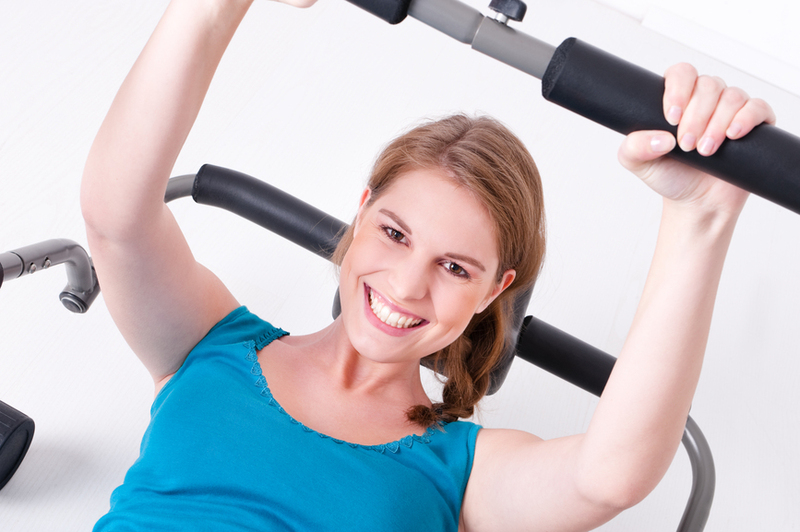 People that exercise regularly feel happy and their mood is improved after their physical training session. This is not only a good psychological feeling but it is also a proven scientific fact. Thirty minutes exercise per day can have a positive effect on our psychological condition. British scientists researched more into the issue and studied the biochemical changes that occur in our bodies as a result of physical training. Indeed, it is very interesting what is happening. A very important element found by the researchers, is that a particular substance, the phenylethylamine, plays an important role. After physical training, phenylethylamine as well as one of its derivative’s resulting after enzymatic decomposition, the phenylacetic acid is increased significantly in the blood. The increase in this substance is beneficial for our organism. This substance even penetrates our circulatory system and acts on our brain. The result is a change in our mood, stimulation of our psychology, increase in our confidence and generally gives us a feeling of happiness. What are these two substances, which are produced by the body after our physical training? The chemical structure of these substances that can change our mood is very similar to that of amphetamines. Amphetamines are substances that are not produced by the body, but can be taken as oral medications and they have a stimulating action in the body. Our body during physical exercises produces these substances in quantities suitable and appropriate for our organism and according to our body characteristics. The phenylethylamine is already known to have an antidepressant effect and this probably explains the beneficial effects of physical training on our mood. And let us not forget it is very good for our heart, lung and circulatory system. Learn to recognize when you are in a bad mood. When you understand that you are not feeling happy but you are in melancholy, dejection or disappointment then you can try and change your mood using one of the methods described in this article. Take a hot bath or sauna. The relaxation of the muscles will help effectively in changing your mood. Massage. The massage is also an excellent way of relaxation that improves mental disposal, mood and emotions. Watch a movie (if you watch a comedy then there are is the possibility that your mood will change without even realizing it), read a book or talk to a friend. Change your environment. Try to be in places that make you happy and relaxed. The environment will help you change your mood. If you cannot do that physically, then mentally try to get to places where you remember that you had some happy moments. Humour can really change your mood. Even in the worst situations, a good humour can make you and others see the other side of the coin, the side that is not as serious or tragic as it originally seemed. Make relations with happy, optimistic, pleasant and dynamic people. This can help your improve your mood significantly.